Alter The Press! 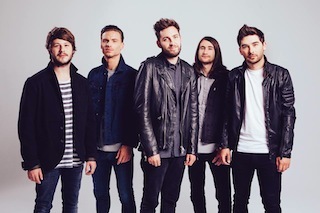 : You Me At Six Announce New Album 'Cavalier Youth'; Premiere New Single "Lived A Lie"
You Me At Six Announce New Album 'Cavalier Youth'; Premiere New Single "Lived A Lie"
You Me At Six announced on BBC Radio One earlier today that their long-awaited new album will be called, Cavalier Youth. The band have also released the music video for the first single from the record titled, "Lived A Lie," which can be viewed below. A release date for Cavalier Youth is yet to be confirmed at this stage.